What Is This Thing Called Shipp? Recently I had the pleasure of seeing a Matthew Shipp solo gig in Paris. This was followed a bit more than a month later by a trio gig at (Le) Poisson Rouge in Manhattan to celebrate his most recent cd Art of the Improviser, which itself celebrates Shipp’s now more than 20 odd years as a major force on the “Jazz” scene. The solo concert which was part of the 20th anniversary of the French Sons D’ Hiver Festival was one of the highlights of my more than two month stay in Paris but not so for everyone who heard it as the following account will show. The day after that gig Shipp received a Facebook message which I am sharing in its entirety with Shipp’s permission. Shipp’s reply was essentially that “the negativity she felt was her own and that she should assume he was a genius and that obviously his music brought up a bad feeling of inadequacy in her she being a pianist herself.” He also told her to check herself out because she must be disturbed to begin with. Well she did get a few things right however. Shipp is “innovative” and can be dark and aggressive. Certainly has a “completely visceral organic approach” as well as “monstrous technique.” “A completely personal voice” and his “physical relationship with the piano” is so well integrated, even at times childishly clumsy, due to his complete intimacy and oneness with it at this point. It’s sort of like playing with your private parts to the fullest capacity possible. 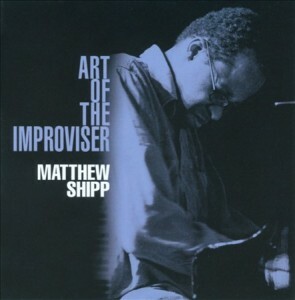 Shipp’s most recent cd Art of the Improviser consists of two live concerts discs recorded in 2010. Disc One a trio recorded at The Arts Center of The Capital Region in Troy New York and Disc 2 a solo recorded at (Le) Poisson Rouge (which I attended). Both like the two recent gigs from 2011 were also coincidentally were only a month or so apart. On both cds and in the recent live performances what you have is a similar distillation of energies. In all cases the contents of these concerts put forth a portrait of Shipp not for what he is or was but what he has become and will be. 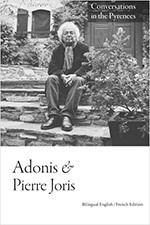 A dynamic force of well integrated improvisation(s) dealing with light and dark, lighthearted seriousness and the apex of what I term chaotic structuralism at its best. As the title of the cd suggests this is about a man who has made his work into his art. Here we have a new type of jazz as well as a new brand of improvisational structuring within the already fairly compact, barely unlimited boundaries of jazz. A re-invention of the classic mold begun and broken by the likes of Armstrong, Tatum, Powell, Monk and Taylor to name but a few. A reconfiguration of the solo. A synthesis of bop, hard bop and avante garde or as Shipp has often termed it Nu Bop, which I have finally come to understand. Not a derived content or language. Not a suspended imagination like most of his colleagues but one that floats. Not a fixed reaction to one’s surroundings or instrument but a constant urgent immediacy. A new speaking in tongues. In other words an organic language predicated entirely on a transfixed set of unruly rules rather than a mere how-to primer. In both cds and recent concerts Shipp displays his mastery of composition as well as his knowledge of the classics. In his solo performances he smashes us with his 4D world then flies us gently though quirkily to the moon after which he takes us on the usual unusual ride of complexity with such wild spontaneous compositions as Wholetone, Module and Gamma Ray. In both settings he always fills us with his own philosophical musings fragmenting, pounding the music into shape as a sword-smith pounds molten metal into the shape of a fine honed blade. In his trio performances he applies the same patterns only the ideas flow less densely, more quickly and perfectly integrated with the fine backing of the great rhythm section of Michael Bisio on bass and Shipp’s long time associate Whit Dickey on drums. On the trio cd, made up mostly of Shipp originals we are given the New Fact(s) as Shipp sees them and then lead into an exemplary trio piece 3 in 1 with Dickey taking a totally splendid full out drum solo. After a furious but gently flowing Circular Temple Shipp leads the trio on a wild ride uptown with one of his many renditions of a perfectly intact “Take the A Train” bringing us back downtown with his probing study entitled Virgin Complex. At the recent trio gig at Poisson Rouge Shipp went from a slow balladic start into an immediate flurry of runs, faltering at times then straightly yet crookedly driving a path that follows many passionate trajectories. And once that passion begins to flow it never lets up and we leave the concert or get up from the couch if experiencing the cd, flooded by wave upon wave of musical complexity and scary beauty. The Nu bop language both here and on the new cd is displayed with all its flashes of brilliance and displacement which includes Shipp’s unique down stroking of the mid-range keys and his gentle plucking at the inside strings, which he is getting better and better at and which he now almost always places in just the right places. Bisio fans the flames while Dickey splashes color all over the room. This is a music of shifting paradigms, of stopping and starting on a dime, of insane inconsistencies that shouldn’t work but do. Taking the piano apart and at times beating it mercilessly with a choppy, frail sometimes unattractive ambience. Bisio’s crunching arco bowing heightening the tensions already created by Shipp. The set augmented by Shipp’s signature fragmenting of standards in this case a sudden dive into “What is this thing called Love?” Then after a wonderfully flashy Dickey solo Shipp re-enters with his usual gloom/doom type chords which miraculously lead into a both playful and frightening version of “Frere Jacques” bringing the set to a close. On all of these occasions Shipp has once again shown us all aspects and facets of his playing, his intellect, spirit and soul. He has provided us with this new concept of space. This feeling of spaciousness while at the same time leaving us little space to breath. His complete ability to ramble allowing his muses to take full control or at least making them think they are in control all the time pulling the strings while seemingly exercising total abandon, jabbing those major chords while manipulating and dismantling the minor ones. I wonder what that gal who Facebooked Shipp would feel/do if she played these cds over and over again in her tiny little room. Jump out the window in an ecstatic frenzy or simply walk over to the Seine go insane and throw herself and the cds into the drink? After this recording any similarity to things/materials/ musics alive or dead is purely coincidental. So what is this thing called Shipp you ask? Buy the cd and find out.